When an SEO agency talks about SEO, the main focus is always on improving visibility through the Search Engine Results Pages (SERPs). For many people this makes sense, but this often means other options take a back seat. PPC has long been an effective tool for gaining traffic. While it doesn’t improve your SERPs listings, it’s nonetheless a viable way to gain additional traffic. 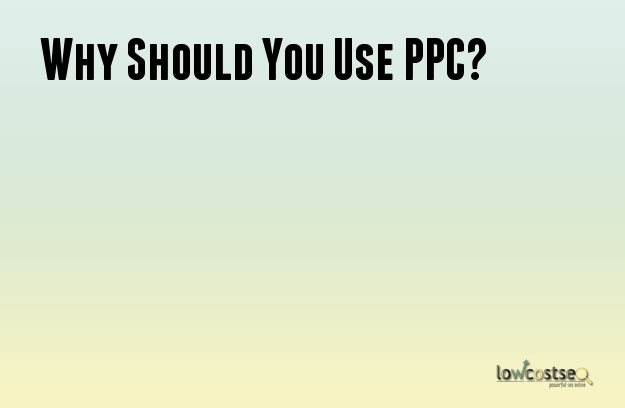 So, let’s have a look at some reasons why – and how – you should use PPC. Google (for Google Adwords, other options such as Facebook ads are also viable) uses a complex algorithm to determine how your adverts appear. In short, however, it’s the same old story. Bigger keywords that are in demand will have a higher cost. Since PPC works on a pay per click basis, this means you should be strategic in your choice of queries and adverts. There’s still some debate over whether long-tail keywords work with PPC, but everything is relative. If your company gains big profits per customer, than it’s arguably worth competing for more popular terms. On the other hand, spreading your campaign out across multiple, more specific queries can keep the CPC (cost per click) down. For example, a “clothing store” advert isn’t going to be cheap, where as “wool jumpers” is more specific and has less demand. Furthermore, it represents customers further along the customer conversion process, as they already know exactly what they want to buy. Another way to use PPC is for local searches. Of course, this only applies to companies with a local focus. While a national or global company could use such a multi-location PPC strategy, breaking down their products into local-based searches, it would take a lot of work and the overall effect can be questionable, depending on the industry. For example, taxi companies depend on location, while retail chain arguably does not. This is where social media and social PPC campaigns, such as Facebook, come in handy. Here, you can target people by location and proximity. This way you’re increasing your brand exposure to people who are within range of your business. One of the best benefits to PPC is that you can see, without any interpretation, whether or not you are successful. PPC campaigns provide you a wealth of information. You can see how often an advert was displayed, how often it was clicked on and much more. This allows you to remove the adverts that aren’t working and only focus on the winning ads. This data is near instantaneous. With a large enough search volume, you could get results back in days or weeks. After a few weeks, you can start measuring your success, removing failures and adapting your overall strategy. Finally, it can’t be stressed enough that PPC works best alongside SEO, not instead of it. This is because PPC often works best when you’re actively promoting something. A good way to get people to click is to have a call to action, offering a discount or other incentive for doing so. However, this only works for the specific area you are promoting. When it comes to general landing pages, SEO is still the best way to go. Someone looking for “clothes” isn’t quite ready to make a specific purchase: they want to browse and, for this, they’re going to look at the SERPs.